Oparara Arch. The Oparara River entering the little Oparara arch (Moria Gate). 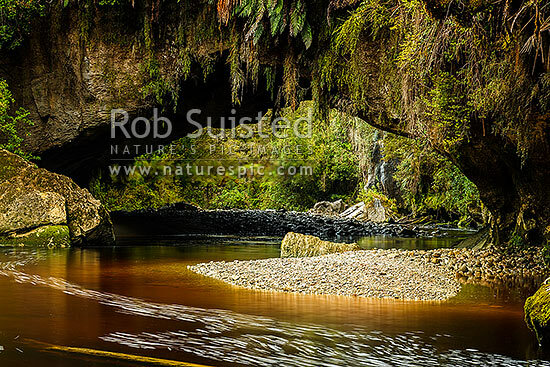 Clean, dark vegetation and tanin stained water moving slowly under the limestone arch, Karamea,Kahurangi National Park, Buller District, West Coast Region, New Zealand (NZ), stock photo.